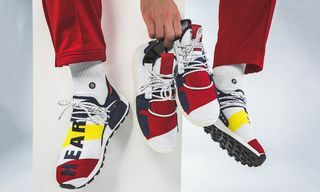 Key Features: The shoe features a white, knitted construction with an unorthodox lacing system, red and blue “N.E.R.D” lettering running down the upper, and a neon green sole. Shepard Fairey’s brain logo can be found on the heel. 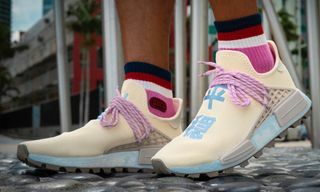 Editor’s Notes: Demand for the N.E.R.D x adidas Hu NMD shoe was through the roof. 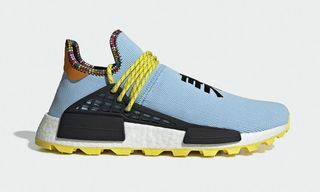 Given the crazy resale prices of the original black colorway, it was only a matter of time before the Three Stripes and Pharrell Williams got together for another drop. 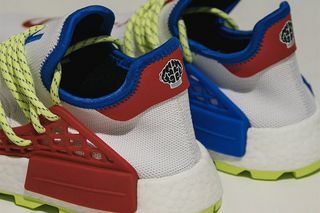 And now, thanks to Virginia streetwear outlet Creme, we’ve been given a first look at the new “Homecoming” edition of the sneaker. 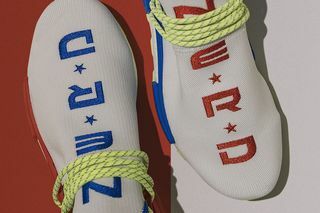 Paying homage to Pharrell Williams’ early days with N.E.R.D and his hometown of Virginia Beach, the silhouette includes red and blue accents throughout, placed on a white knitted upper. 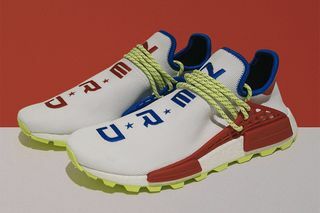 Pops of neon green can be found along the unusual lacing system and sole, with N.E.R.D’s familiar logos running down the upper to the toe box and on the heel. 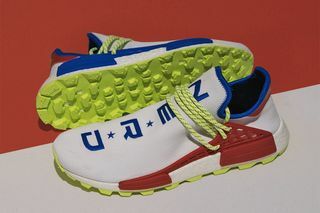 Pricing and drop dates are currently unconfirmed, but with N.E.R.D due to perform at Z104’s Summer Shaggfest music festival in Virginia Beach in mid-June, we’d expect the kicks to be available around that time. 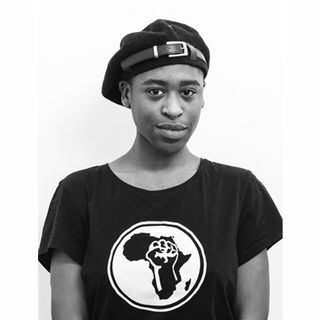 As always, we’ll keep you updated. 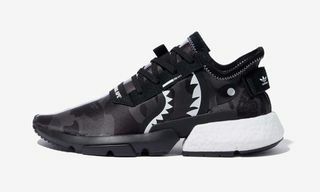 In other sneaker news, Nike’s React Element 87 is dropping June 14. 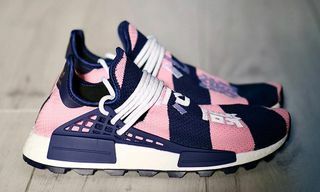 Here’s how you can cop.